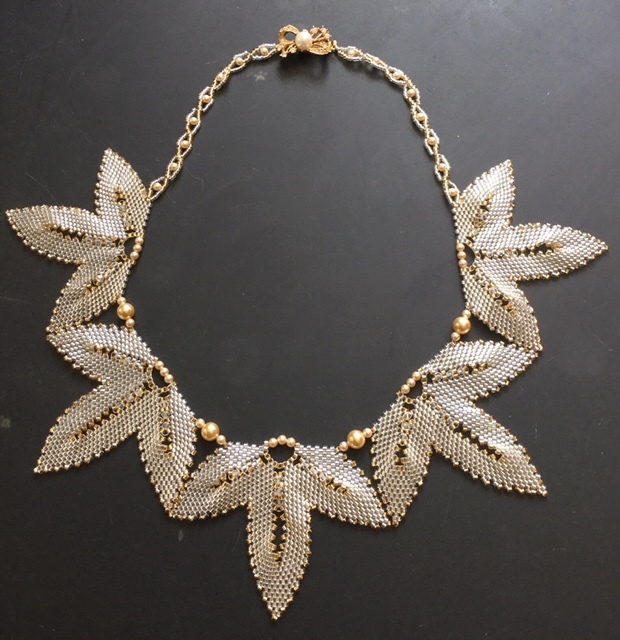 The delicate leaves of this statement necklace are made using increasing and decreasing peyote stitch in the ‘zig zag’ technique embellished with Swarovski crystals and pearls. The dainty strap is made in Russian Snake Chain embellished with pearls. This necklace is suitable for the intermediate or advanced beader who has a good knowledge of peyote stitch. The aim of the class is to learn how to make the leaves and the chain and how to attach them all together.